What will be the exciting news about my growing healthy baby this week? Let's read and see what does it says on the babycenter.com, where I've always checked my baby's weekly changes and progress. The network of nerves in your baby's ears is better developed and more sensitive than before. He may now be able to hear both your voice and your partner's as you chat with each other. He's inhaling and exhaling small amounts of amniotic fluid, which is essential for the development of his lungs. These so-called breathing movements are also good practice for when he's born and takes that first gulp of air. How am I feeling for this week? Fantastic, I can truly feel the squirming, kicking or punches not sure about the hiccups, as I'm still trying to figure out up to this time what it feels like. Maybe I did, but just couldn't figure out if it's a baby's hiccups or not. Flutters inside me? Definitely feel more and of course the feeling of my skin being stretched more for the growing baby. I have always loved the morning, kicking, makes me feel more secure than ever. 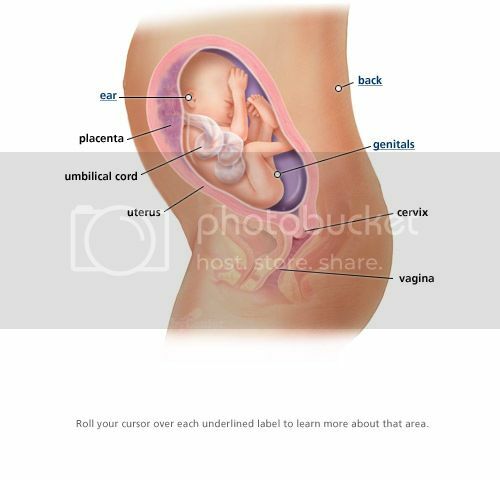 That my growing baby is indeed healthy inside me. It's exciting to get pregnant, I wish my body and age could handle one more lol. Awww! Congrats Mommy N :-) won't be long, you will hold and kiss your new baby. I wish you a healthy pregnancy and best of health as always.